A petition to the Supreme Court to bar the law from taking effect brings the potential for the next major abortion ruling. 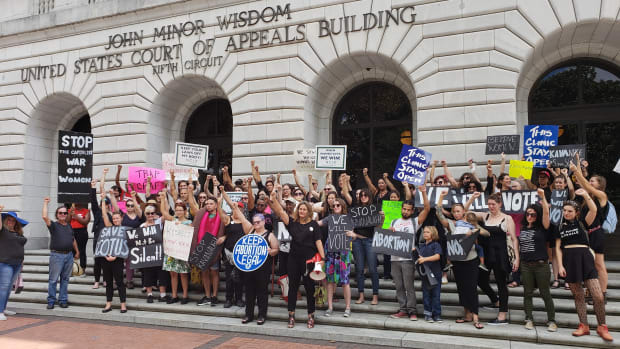 Protesters gathered at the Fifth Circuit Court of Appeals in New Orleans on October 5th, 2018, to denounce a decision that upheld a Louisiana law requiring abortion doctors to have admitting privileges at nearby hospitals. 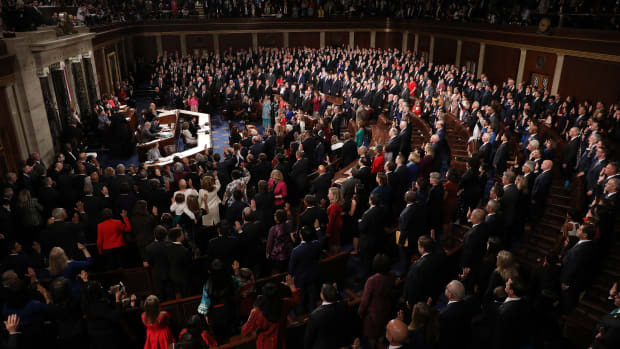 They also protested the nomination of Justice Brett Kavanaugh to the Supreme Court one day before he was sworn into office. 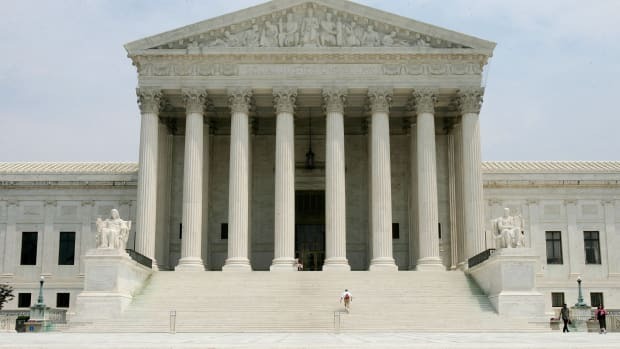 An abortion clinic filed an emergency appeal to the Supreme Court late Friday night, asking the court to step in and save the state from a ruling that could decimate abortion access in Louisiana. "The Fifth Circuit brazenly ignored recent Supreme Court precedent squarely on point," said Nancy Northup, president and chief executive officer of the Center for Reproductive Rights, of the center&apos;s decision to appeal what it dubbed "a rogue decision" from the appeals court. "We are filing an emergency motion today with the Supreme Court to block this law before women in Louisiana are harmed." In a decision handed down with seemingly record speed, the Fifth Circuit Court of Appeals had ruled earlier Friday to allow a 2014 law requiring admitting privileges for abortion doctors to take effect on February 4th. Clinics have argued that this law will effectively shut most of them down and leave just a single abortion doctor able to practice in the state. Currently, Louisiana&apos;s three abortion clinics perform about 9,000 procedures a year. 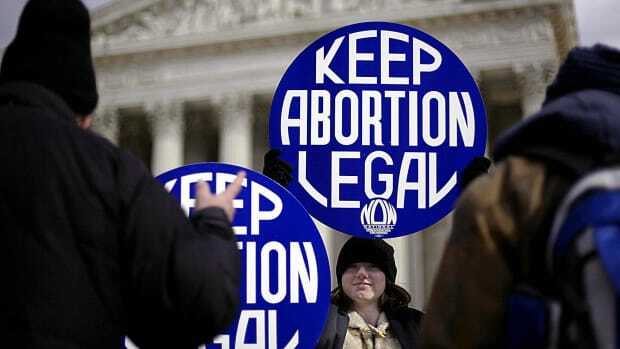 The case is not only set to dramatically change abortion access in Louisiana; it could, if the Supreme Court agrees to hear it, give the new conservative majority a chance to remake abortion law in America. Last fall, a three-judge panel of the Fifth Circuit overturned a lower court ruling that found the law—similar to one passed in Texas that was struck down by the 2016 Whole Woman&apos;s Health v. Hellerstedt Supreme Court decision—unconstitutional. Last week, the appeals court rejected a bid from the plaintiffs to have the case re-heard by the full panel of judges. At 11:44 a.m. Central on Friday, the Center for Reproductive Rights filed a motion to stay the law, arguing that, if the law takes effect, abortion access will be "virtually eliminated" in the state. "The constitutional right to safe and legal abortion in Louisiana is hanging on by a thread," it warned. Within three hours, at 2:20 p.m., the court denied the motion. The speed shocked clinic administrators and activists on both sides of abortion access, but not the ruling itself, given the court&apos;s earlier decision and its reputation as one of the most conservative benches in the nation. And it leaves Louisiana&apos;s clinics in the position of appealing to the Supreme Court to save themselves, while potentially handing anti-abortion advocates the Supreme Court test case they&apos;ve been hoping for. 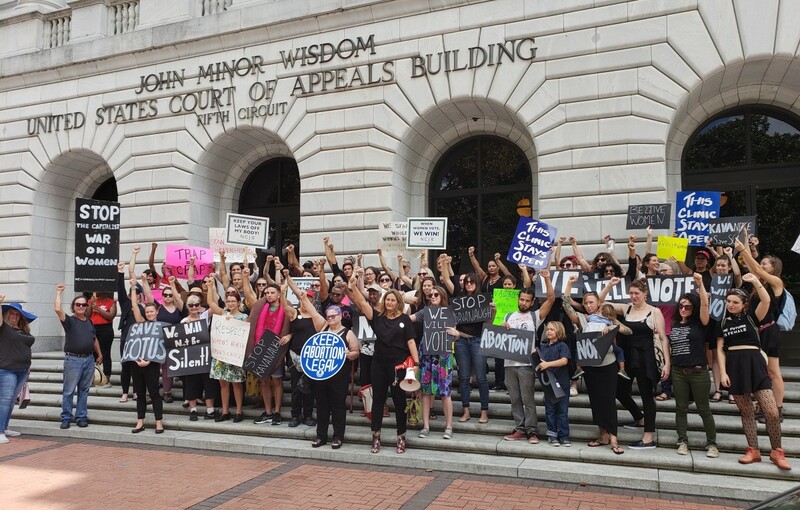 "I think perhaps what people are beginning to realize is the court is no longer going to be able to save us," says Amy Irvin, executive director of the New Orleans Abortion Fund, which gives financial support to women seeking abortions in Louisiana. 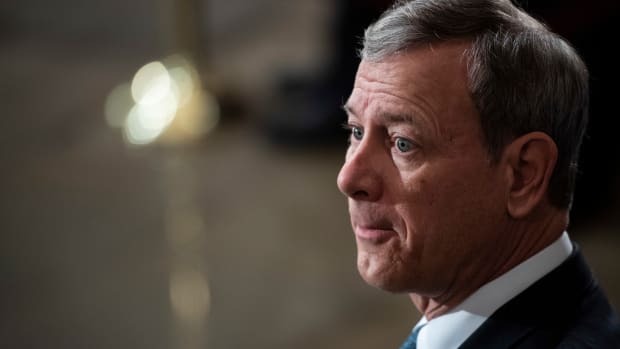 "Certainly not with [President Donald] Trump appointees, and not with [Justice Brett] Kavanaugh on the Supreme Court." "I think there is some worry, definitely," she added, about how the Supreme Court might rule if it accepts the appeal. "I&apos;m not quite sure what I&apos;m feeling right now," says Benjamin Clapper, the executive director of Louisiana Right to Life. "It all happened so fast. But, you know, we believe this law should be enforced. We believe it&apos;s common-sense health standards." Clapper wouldn&apos;t say whether he hoped the case would become a chance to re-try the constitutionality of abortion at the high court. "Certainly we want to make sure that abortion is a thing of the past," he says. "But [with] this law today, we&apos;re focused on protecting the health and safety of these mothers." Katie Caldwell, the administrator for an abortion clinic in New Orleans, says she&apos;s been working since the law passed four years ago to help doctors obtain admitting privileges. If the Supreme Court doesn&apos;t step in, she has seven days left. "The judicial system felt like the last safe vestige for actual justice," she told me on January 22nd, days after the Fifth Circuit decided against rehearing the original case. "And it&apos;s just not anymore." If upheld, the law will force abortion advocates to find other ways to help women seeking abortions—discussions that have already begun. "We&apos;re going to do what we can to get people to whatever clinic they choose to go to, in Louisiana or outside of the state," Irvin says. Rosemary Westwood is a New Orleans-based writer whose recent work has appeared in the Guardian, Maclean's, Vice, Chatelaine, and elsewhere. She is currently working on a book about abortion. 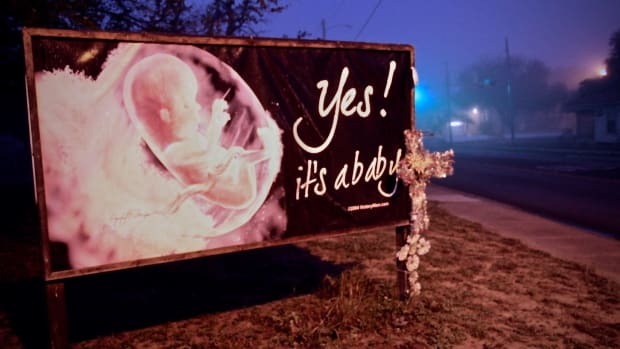 The Supreme Court Just Blocked an Abortion-Restriction Law in Louisiana. What's the Science Behind the Law? Studies show that, in most cases, laws requiring doctors to have admitting privileges at a nearby hospital are not necessary for the health and safety of women getting abortions. With just hours to spare, the Supreme Court stepped in Thursday to keep abortion clinics open in the state. But how long will the reprieve last? After a surprising vote to stay a Louisiana law, the future of women's constitutional right to abortion appears to hang on the judgment of a single man. If 2018 was a wake-up call, 2019 is set to be a reckoning. What Happened in Texas After Its Abortion Laws? The evidence suggests a Supreme Court ruling in favor of the state of Texas would make abortions harder to get and may make them slightly more dangerous.